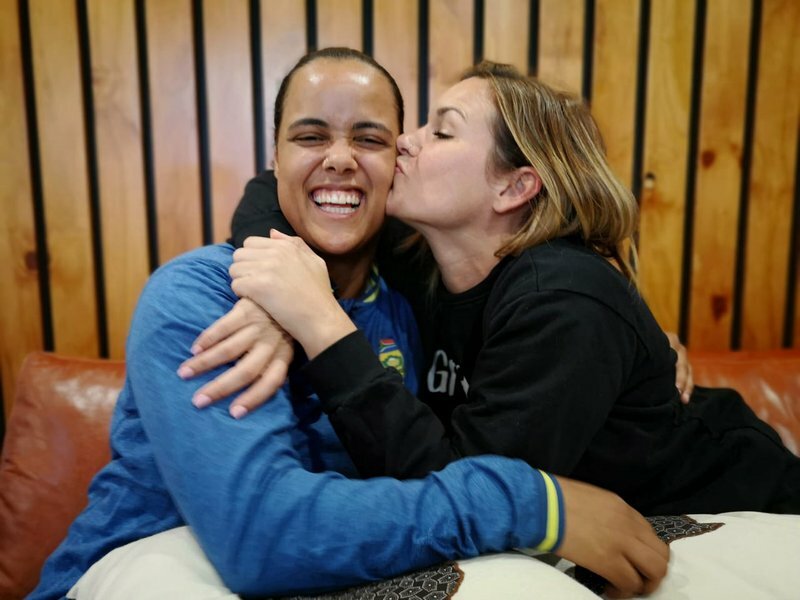 Arriving back from her recent tour, Proteas vice-captain Chole Tryon chatted freely with her new best friend, Keri Miller. Looking for a diva? You're not going to find one here because Chole Tryon (pronounced 'try on') is a humble soul who opened up to Keri - and left her in awe of this young woman. "I always feel a little subsidiary when I’m around super sporty women because I have no ball skills and here is a woman who not only made the SA squad at 16, but is the first and only woman in WT20I history to take a wicket with the very first ball of her career," she added. Chloe and fellow cricketer Suné Luus set the record for the highest ever 6th-wicket partnership in the history of WODI (142 runs). While the mic was on, she chatted openly and was so confident and comfortable. Her smile captivated Keri, and if felt like two friends catching up. Chloe told Keri about her love of whisky, and how much rum the girls drank on the recent West Indian tour.